Style!® only sells underfloor heating from Thermonet and Warmup. Enhance your project with Thermonet® EZ, a premium quality electric underfloor heating mat designed to provide a primary heat source at 80% coverage. Thermonet® is unique in the UK as it uses a TwistedTwin™ cable fixed to our high quality fibre glass mesh. 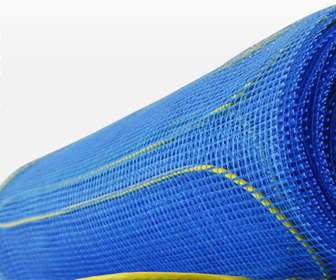 These industry leading materials and processes allow the mat to roll out totally flat for easy installation in any room. The fact that we manufacture Thermonet® in our German manufacturing plant means we have control over the quality of each individual mat and we perform stringent quality control tests to ensure each and every Thermonet® mat is finished to the highest possible quality. Thermonet® 150W/m2 should cost between £12 - £14 per square metre, per year. For example a well insulated 2m2 system would cost between 7 - 8p per day depending on your electricity tariff and heating schedule. Thermonet® is the only electric underfloor heating mat in the UK to feature our unique, TwistedTwin™ heating cable. The twists minimise tension and virtually eliminate Electro-magnetic Field resulting in a more robust and longer lasting cable.